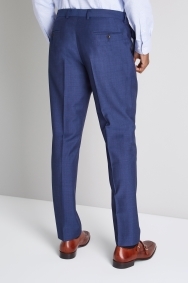 Half-lined to the knee for comfort and made from highly-twisted yarns, these 100% wool trousers will give you a pristine appearance. Embodying the effortless refinement of the modern gentleman, tailored trousers are the subtle and understated way to set off a fine jacket. 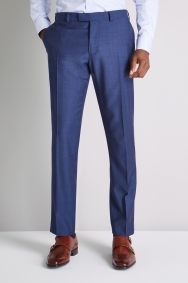 The tailored fit is tasteful yet flattering, tapering slightly at the ankle for a well-fitting finish. Wear this style with a slim fit shirt and complete the classic look with an elegantly tailored jacket.